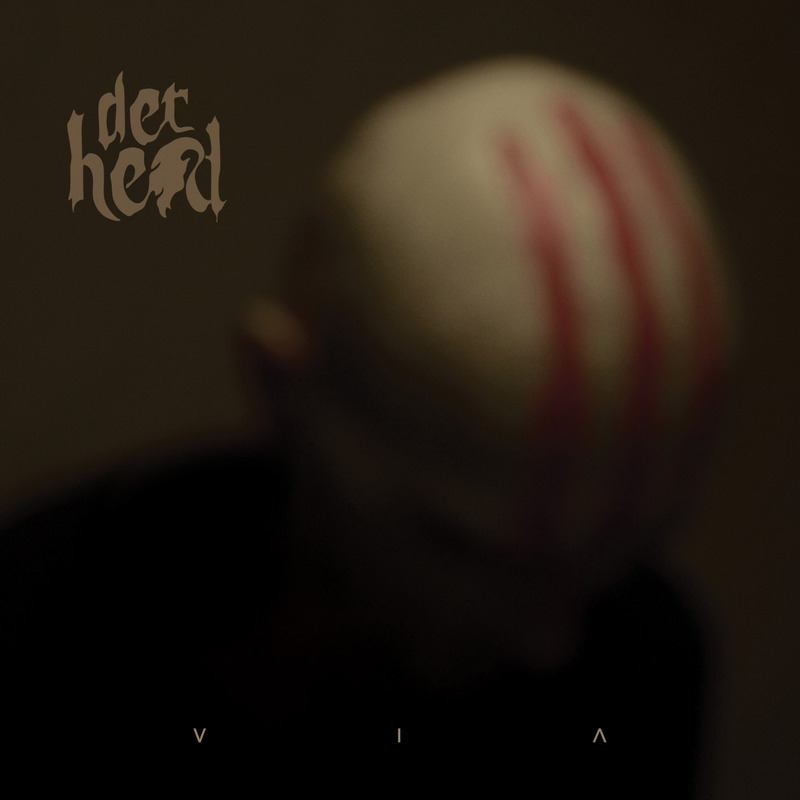 Italian Black Metal band Derhead, released their debut album Via on Polish metal label Via Nocturna at the beginning of the New Year for fans seeking something new in a genre that has seen a strong decrease in its fan base. However, can the album revitalize the genre and give us a fresh sound unlike anything we have heard before? Now, before we get too deep into this review of the album – that contains three new tracks and six demo recordings (from as early as 2003) – I just must say I had mixed feelings when listening to the album, I honestly had to listen to it a few times before I could write my review and here is why. When I read the album’s statistics on paper, I was very intrigued, one man by the name of Giorgio Barroccu, composed, recorded, and produced the entire album, a serious undertaking in the music industry. Barroccu covered the vocals, guitars, bass and drums as well, a true musician with a very specific vision for his album at work, which made me very excited to give the album a listen. The intro of “Cenere,” the album’s opening track, grabbed my interest with its eerie undertones, it honestly sounded like a score to a modern horror movie, which I really liked, building my anticipation for the vocals, but then it lost me. Barroccu’s vocals dropped in and I had to pull my earbuds out, the high pitched constant screaming, really made me think I was listening to a horror movie. Now don’t get me wrong, there are plenty of vocalists out there that can pull off high pitched screams but they balance it out with deep gut wrenching roars, to give the listener contrast between the two. That wasn’t the case here. The second track on the album, “Piombo,” was slightly different but more of the same and it continued through the rest of the album. Even though the vocals weren’t my cup of tea, I do have to give credit where it is due, the sound is unique and beautifully composed, the balance of the instruments was by the far the highlight for me. Throughout the album, it kept my attention with its bass lines and guitar tones, the work of a very talented musician. Overall, Via is a great achievement from a one-man band, creating a unique layered sound, the experience was different in its own right, to say the least. You can be the judge about Derhead’s debut album and Barroccu’s vocals, by giving Via a listen, which is available now on Via Nocturna.